Each year our main gallery is filled with 800 Phalaenopsis orchids in a wide variety of colors and styles: majestic purple, classic white, intense fuchsia, vibrant green and luminous yellow, in solids, speckles and two-tone. 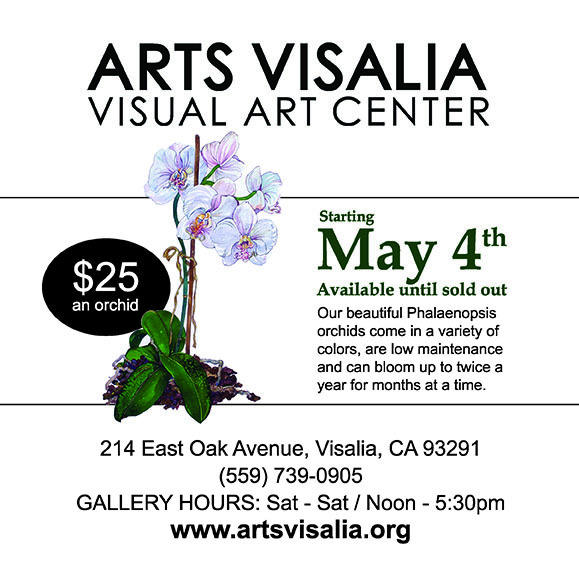 The Annual Orchid Sale is Arts Visalia’s biggest fundraiser. Each $25 orchid purchase supports our mission to develop, foster, and promote the arts as central to the quality of life in Visalia, through exhibitions, art classes for children and adults, and outreach programs. During the sale, our gallery has special extended hours. 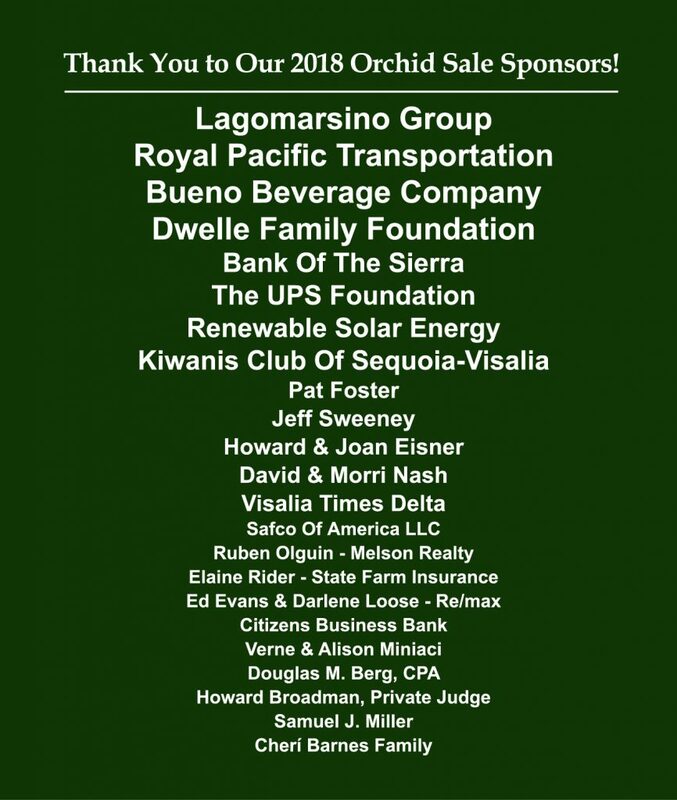 Thank you to last year’s Orchid Sale Sponsors! Without your continued support, our mission and vision would not be made possible. To become a sponsor for this year’s Orchid Sale please fill out the form here. Have Questions About Arts Visalia?